Not Rhonda. Rhonda wants to live an ordinary life. “My life is a soap opera with magic,” thinks Judith, as she reviews her year. Before it all begins, she just wants to lose her past and keep her children safe. Belinda, her sister, wants recipes. All three women get a lot more than they bargained for in 2002 and 2003. Secret Jewish women’s stuff ought to be carried out in more exotic places than suburban Australia. Except that sometimes, suburban Australia is chancy and troubling. Even without those mystery boxes from the great-grandmother no-one talks about. Even without the Angel of Death and Zoe’s pink tutu. 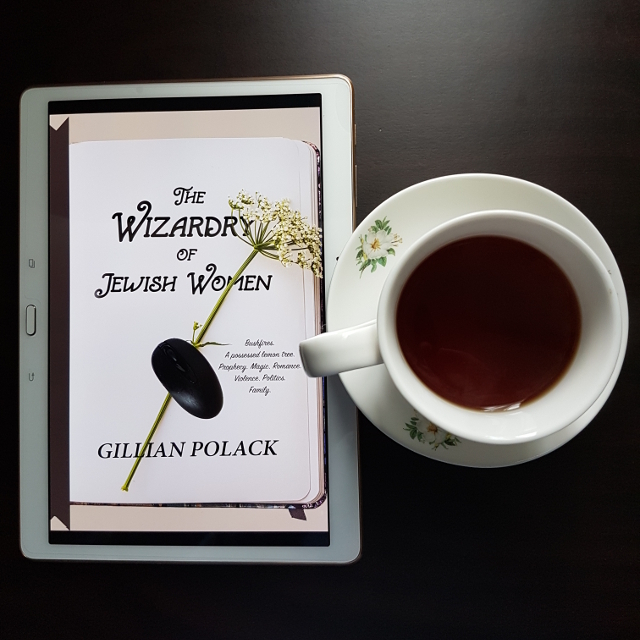 The Wizardry of Jewish Women is a complex book of literary fantasy that focuses on the lives of three women. Judith and Belinda are sisters who have just inherited two trunks of their great-grandmother’s papers. Rhonda is a historian and prophet whose historical articles trigger a need to blurt modern-day prophecies on the same topics in online chat rooms. The book has many of the typical themes and characteristics of the author’s previous novels. It is a very feminist book, with Judith explicitly identifying as feminist and being involved in political activism. The domestic sphere is valued, as the story focuses on the daily lives of these women and their relationships. Judith and Belinda trade many phone calls as they try to sort out the mystery of their great-grandmother’s papers, and it seems fitting that the magic spells they find are mixed up with old family recipes. Judith must also contend with raising two kids on her own. Rhonda’s domestic life looks different, as her home also functions as her workspace. Being cut off from her family, she is very much alone and finds company instead with a few valued friends both locally and online. Family is certainly an important theme of the book, but for me the heart was about ethics. When Judith discovers that her great-grandmother’s magic actually works, she is tempted to use it against her abusive ex-husband. However, Jewish magic should not be used to harm, as Belinda’s research informs her, and Judith is faced with setting a good example for her magically talented, young teenage daughter. Belinda herself must decide whether to withdraw to safety when her synagogue is firebombed or whether to stay and support the community. And Rhonda must deal with privacy violations from her own ex-husband and from online enthusiasts keen to root out the mysterious online prophet. She also fends off sexual harassment from her case manager at the temp agency. As is typical of the author, there are some unusual things going on with the style. There’s something interesting going on with the numerology of the chapters. Each chapter is comprised of numbered sections. The amount steadily diminishes, making each chapter progressively shorter. Judith’s story also slips back and forward between third- and first-person, often with little or no warning. These choices made it a challenging read, particularly in the beginning when the chapters are long and I didn’t yet have a grip on who was who and what the relationships were. This is not a book that spells out parallels or connections clearly. Rather, the reader has to work for them. All in all, I found The Wizardry of Jewish Women was a challenging book, but rewarding. It’s definitely my favourite from this author so far.